We had our third ever Bunco this week, and I loved seeing the girls! I always used to hear my mom talking about Bunco and I had no idea what it was all about or why a dice game was so darn fun. Now I get it. An easy game to play, a little gambling, a fair amount of wine, and of course, great girlfriend time! 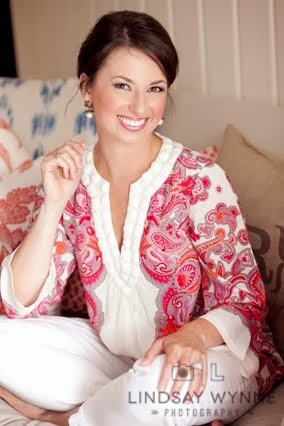 Any expectant mothers out there, my friend Justine did an awesome recap of her must-haves for new moms in this post. Her "Momiform" is exactly what I wear several times a week! She is a mom of four (four!) adorable kiddos, three girls and a baby boy, so she definitely has some great experience and advice. Plus, I just love how cheery and optimistic she is. When we were in Blowing Rock, NC recently, Ian bought me a Furman Tervis Tumbler. It's really the smallest things that make us happy ... sipping water during the day out of a cup representing my alma mater just brings a smile to my face! Do you have a group of girls you just click with, effortlessly? That's our lunch bunch for me. 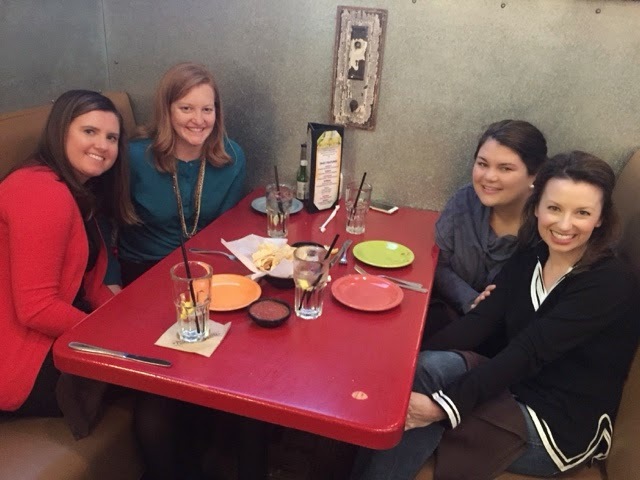 We had lunch one day this week and it was a great little workday escape! We try to get together at least every two weeks. I treated myself to a little fun Fickle purchase this week - a Lululemon tank for $20! If you are in Charlotte, love consignment buying/selling, and are interested in joining Fickle Resale, please let me know. We have some exciting changes coming soon which will grow the group even larger, so I'm really stoked! Additionally, we are looking to add to our team of reps, so if you know of someone who loves consignment purchasing, is social media savvy, and is looking to make a little side-hustle, tell them to contact me! Here's hoping that tank will help me rev up my workout game. Anyone interested in a Fitbit challenge next week? Let me know your username below, and we'll get one going! TGIF y'all, and hope you will join in on Five on Friday this week. Cheers to the weekend! YAY for two fun girlie things; bunco and lunch bunch! And LOVE that top!! Good find! Have a great wknd! Hugs! How jealous am I of your fun bunco group?!?! My mom plays and always has the best time...I need to find a group asap! 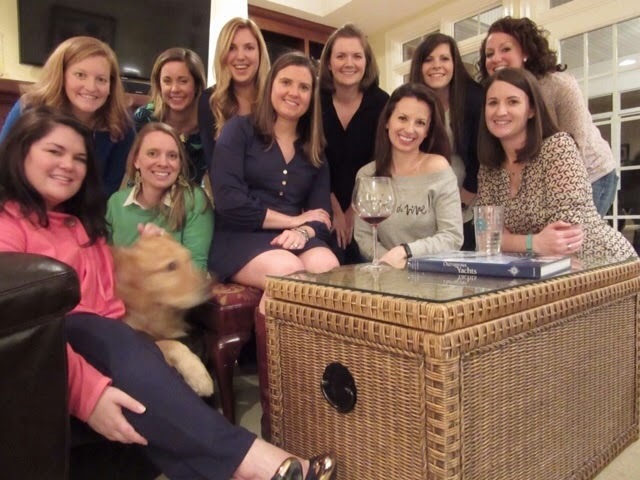 I wish I lived close enough to a big group of my gal pals to do something like a bunco night!! We keep our JMU and UVA tervis tumblers in constant daily rotation- it is a fun daily reminder of other great times in our lives! Cute tank too! I didn't realize you went to Furman! My sister is a senior there now :) What a beautiful school! It truly is a gorgeous school. I miss it a lot! Looks like a great lunch crew!!! There are few things I want in life more than a good bunco group ;) so fun! There's nothing better than a girls night, right?? Looks like you have a fun bunch! Definitely going to check out the new mama post. This might be my third pregnancy, but I feel like I've forgotten so much! :) Happy Friday! I had no idea you went to Furman! I am also a proud alum who loves my Furman tervis! Of course every time I use it I want to go back for a visit! I'd love to do a fitbit challenge! Not sure what my user name is, but it's linked to my email, sarahbrookekane@gmail.com. Love all of the girl time! A group of us randomly went to a girls dinner on Tuesday and it was such a nice treat! Have a great weekend! Girl friends are the best! Thanks for the blog recommendation. I need all the mama-to-be lists I can get. Girl dates are the best. Have a great weekend!! What a fun week you've had!! We used to have a monthly bunco group when I taught, but it quickly turned into a monthly wine night :). I love consignment finds (it's consignment season - whoop whoop)! I haven't tried Fickle because of the price, but maybe I will soon! I love playing bunco! It sounds like such an old lady thing to do but it is actually awesome ;) happy Friday! I really need to start a bunco game with my friends!! Looks like so much fun!! ahh I wish I lived in Charlotte! Fickle sounds awesome!! Can you sell things out of state on fickle? I'm a Furman alum too! 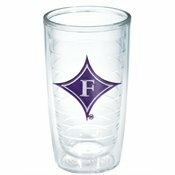 I have the Furman Tervis Tumbler in the large size- it was given to me when I was a high school senior and had gotten into Furman. And girlfriends are such a blessing- it's awesome you have a group that you click with so well that gets together regularly! So jealous of your Bunco nights! I would love to participate in the FItBit challenge, my e-mail address is mdb0112@gmail.com. I just love that luluemon score you made! I would love to find a cute resale shop like that in Cary! I'd love to know more about Fickle Resale! I'm new-ish to Charlotte, and my closet could use a little cleaning out.